According to Marketing Metrics, that’s the probability of selling to an existing customer. The probability of selling to a brand-new customer, on the other hand, is just 5-20%. And while it’s no secret that customer retention is crucial to the long-term success of your business, many companies, especially those in the SaaS industry, are failing to maximize their potential in this area. In most cases, the reason a business is unable to optimize customer retention rates is because of one main flaw…the inability to calculate and utilize churn prediction effectively. But what exactly is churn prediction and why is it necessary to improve customer retention? In addition, how do you calculate and use this data to retain more customers? The answers to those questions, and more, lie within the sections below. To define churn prediction, we should first look at a concrete definition of churn rate. As it relates to SaaS businesses, churn rate is essentially the percentage of customers that discontinue your service. While it is often measured as an annual percentage, it can also be measured quarterly, monthly, or even weekly. Having the ability to accurately predict future churn rates is necessary because it helps your business gain a better understanding of future expected revenue. In addition, when you’re able to use churn prediction to forecast the potential churn rate of a particular customer, it allows you to target that individual in an attempt to prevent them from discontinuing their subscription with you. 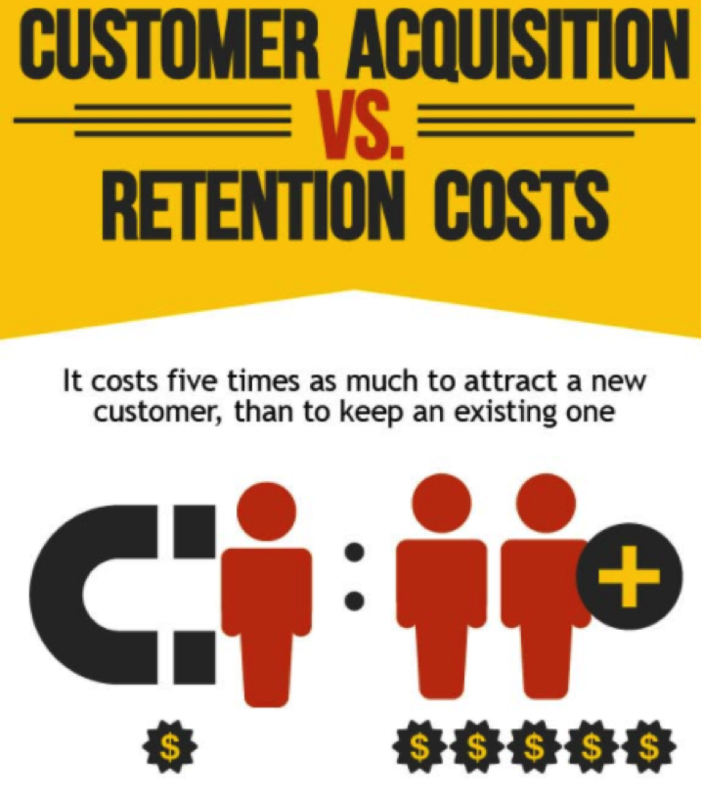 And, since the cost of acquiring a new customer is 5x higher than keeping an existing one, there’s plenty of revenue-based reason to do everything in your power to keep those existing customers. Predicting churn rates can also help your business identify and improve upon areas where customer service is lacking. And, by making those improvements, you can decrease churn and improve revenue numbers. In the end, the bottom line is that churn prediction is essential because it helps you understand what preventative steps are necessary to ensure lost revenue is minimized. Churn prediction is used in a variety of different industries and types of businesses. It is, however, most relevant to SaaS companies and membership based businesses that charge an ongoing monthly, quarterly, or annual fee for their software or services. As far as how churn prediction can be used within your business, it’s one of the key components of determining the lifetime value of customers. And, armed with accurate, real-time data about the lifetime value of your customers, your company will be in a much better position to ensure that you’re making decisions that keep you moving forward. For SaaS companies, calculating churn rate is a fairly easy process. Subscriber Churn Rate = (Subscribers at the beginning of the month – Subscribers that remain at end of month) / Subscribers at the beginning of the monthAs an example, let’s assume you had 1,350 recurring subscribers on the first of the month. At the end of the month, you ended up with 1,325 subscribers. It’s important to note here that, when using this equation to calculate churn, new customers are NOT included in the ‘subscribers at the end of the month’ total. How likely are you to recommend “our company” to a friend or colleague? What is the most important reason for the score you provided? Promoters. Subscribers that gave a score of 9-10. Passives. Subscribers that gave a score of 7-8. Detractors. Subscribers that gave a score of 0-6. You can expect that about 50% of detractors will unsubscribe from your service in less than 90 days. You can count on about 40% of passives to unsubscribe from your service in less than 180 days. Using this data, let’s look at an example of what this means if your NPS results led to the discovery of 40 detractors and 80 passives. Let’s also assume that your average revenue per user is $150. While this obviously isn’t an exact science, a company with these results could realistically expect that they’d be losing $6,800-$8,800 in revenue within the next 180 days. Improving customer outreach is important because it helps ensure that you’re generating the necessary feedback to accurately predict future churn rates. In addition, when designed correctly, you can use your outreach to determine exactly which subscribers identify as detractors and passives. And, from there, you can take the necessary steps to work towards turning those subscribers into promoters. Improving customer service is important because, when combined with establishing and providing value, it’s what will allow you to reduce churn rates. According to Customer Success Consultant Lincoln Murphy, an acceptable monthly churn rate would be somewhere in the 0.42 – 0.58% range. Those numbers would translate to 5% – 7% being an acceptable annual rate. So, if you’re discovering that your monthly or annual churn rates are exceeding these numbers, that’s a clear indication that steps need to be taken to improve both the value and customer service you’re providing to subscribers. To get started with using churn prediction to improve your business, your first task will be to setup a customer outreach model that enables you to generate accurate data to make your predictions. While tools like the NPS Survey can help automate this process, it’s also important that you develop an in-house plan for consistently reaching out to subscribers and raising the likelihood that the perceived value of your services causes them to label themselves as promoters. And while this process can be complicated and tedious, its ability to help you retain more subscribers, and prevent lost revenue, will make it well worth it.